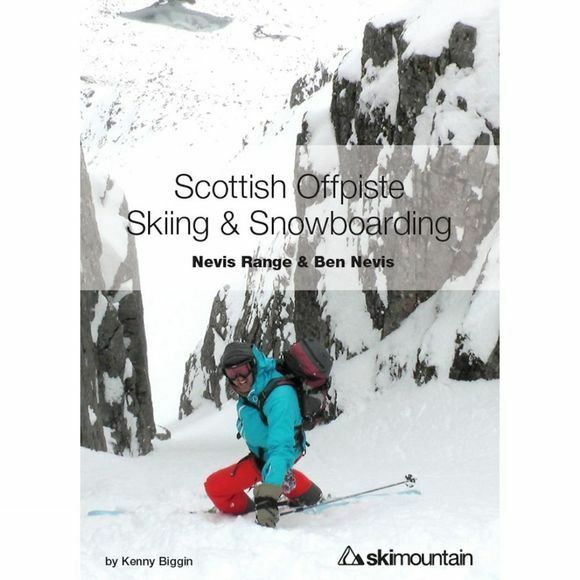 The first Scottish offpiste guidebook, focusing on the amazing terrain in the mountains around Ben Nevis and Nevis Range. It includes 91 routes, 200 pages, 170 full colour photos and diagrams – plus advice on avalanche safety. This offpiste skiing and snowboarding guidebook unlocks the potential to some of Scotland's best backcountry skiing with snow filled powder bowls, exciting corniced gullies, open faces, and narrow and twisting hidden couloirs. Inside you will find easy freeride routes in the Back Corries, challenging hidden couloirs on Aonach Beag and Aonach Mor's fabled west face, and step and daring descents on the north face of Ben Nevis. With route entry diagrams, detailed descriptions, and loads of colour photos, this book is not only a valuable source of information but a guide that will keep readers inspired until the snow arrives! After learning to ski in the West Highland Ski Club at Glencoe in the late eighties, Kenny Biggin grew up skiing the Back Corries of Nevis Range in Scotland and has skied there for at least part of most seasons since it first opened almost 25 years ago. Back in the day he was an instructor at Nevis Range with forays to the Alps instructing in Italy during the mid-90s. In 2007 Kenny founded the SkiMountain brand as a way to build his life around his passion for skiing. Latterly, he has been seeking out steeper and deeper slopes worldwide and has skied and toured in the backcountry of New Zealand, Canada, Norway, and of course the Alps. However, he still considers Fort William home. Kenny rarely skis a day at Nevis Range without going 'over the back' or further afield in a massive variety of conditions and reckons he has skied the Back Corries hundreds if not thousands of times.